I love avocados. They are delicious all by themselves, and they are among my all time favorite party foods when transformed into guacamole. The biggest sin I believe there is in the world of guacamole is store bought guacamole. I realize that avocados may be a little intimidating, and it may seem daunting to put together a solid guacamole. But, here’s the secret – guacamole is the bacon of the produce department. It makes just about anything taste better, and it goes with just about everything. 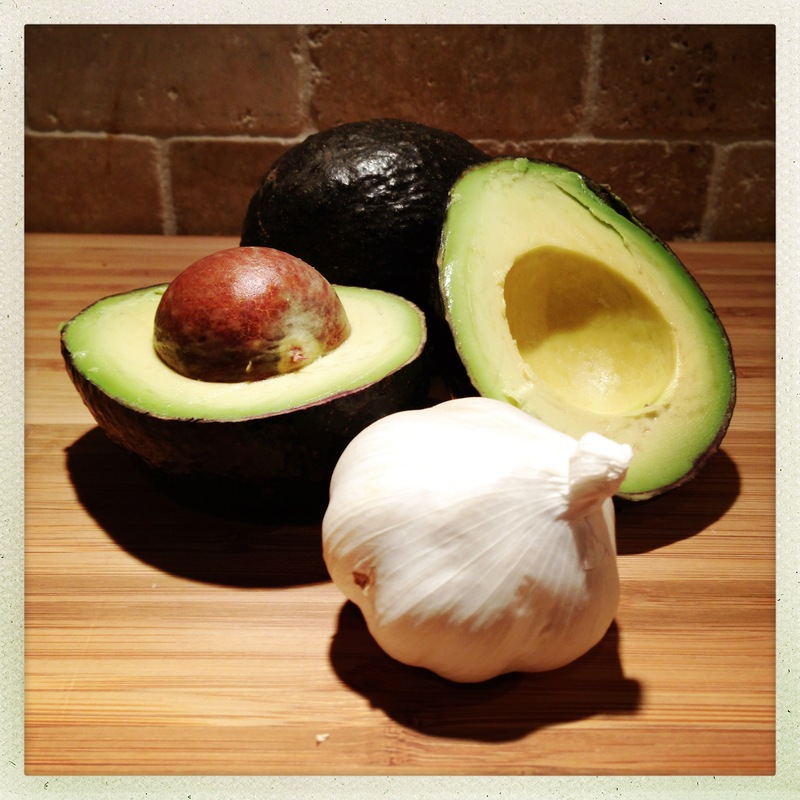 Below, I have a basic guacamole outline of a few key ingredients that I always use. It tastes great by itself, but it can also be easily embellished with any number of ingredients, and the outcome is nearly always incredible. In addition, it’s a great dip for little ones, full of healthy fats and oils, and an excellent way to get kids to greedily gobble large quantities of vegetables. In the recipe below, I have added an asterisk to the “core” ingredients that I always use in my guacamole. I also have a few added items I used for the first time with this batch, and they worked really well. 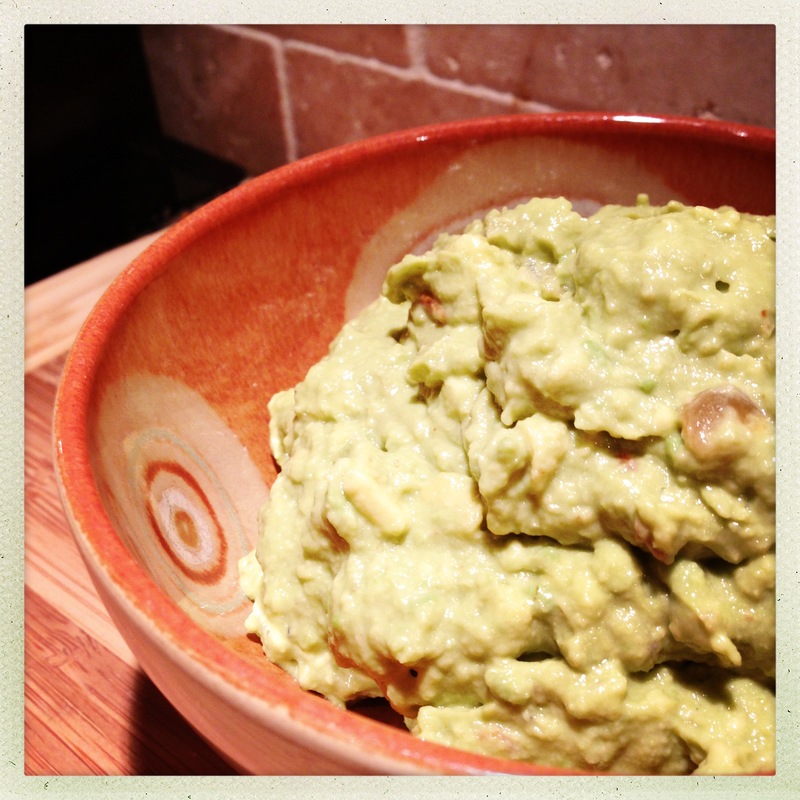 So, grab some avocados and your favorite hand masher, and let’s make some guac! Slice the avocados in half and scoop out the meat. Add to a mixing bowl. Add the garlic, onion and lime juice (and any other ingredients you may have chosen to include). Mash with a hand masher to your desired consistency. I like mine a little chunky, but if you like it smoother, by all means, mash away! Taste a little bit, and add salt to taste. It is VERY EASY to over salt guacamole, so add a little at a time and stir/mash to combine. Guacamole is a great all by itself with some chips. Our little guy likes to eat it straight off a spoon! But, it’s also great on burgers, eggs, tacos, burritos, nachos, salads…really, just about anything. This particular batch was the final touch on a batch of breakfast burritos. 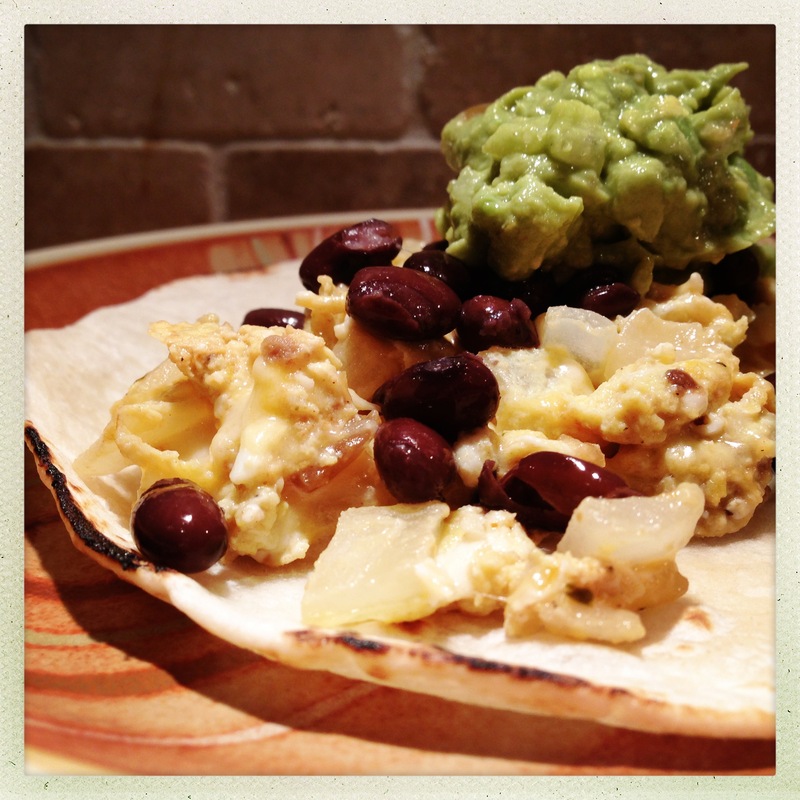 I scrambled some eggs with a little onion, salsa and cheese, added some black beans and served it all in a grilled flour tortilla topped with some of this guacamole. It was awesome. 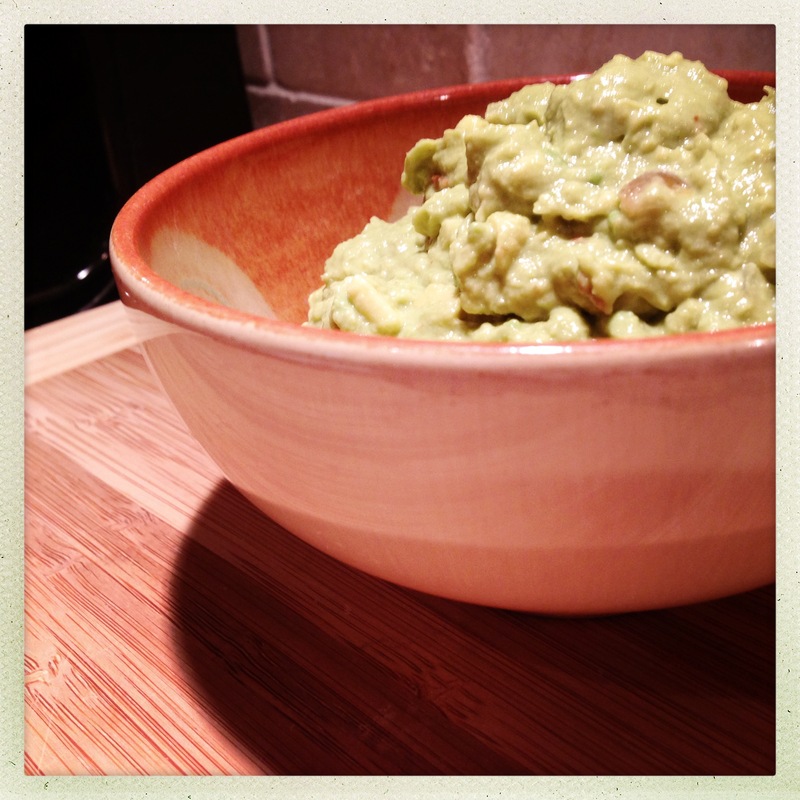 Give it a shot, and I have a feeling you’ll never reach for a tub of guacamole in the grocery store again!